Hot water is really a basic necessity of life, and it can be a shock if your hot water system suddenly fails for any reason. Every hot water system has a finite life span, and even some relatively new units can develop issues that need to be resolved quickly. 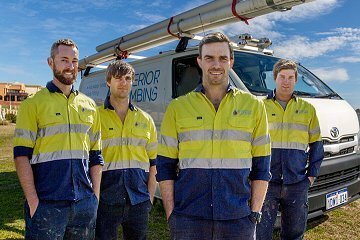 Superior Plumbing are the leading specialist for hot water systems and repairs in Perth. The company’s exceptional 24/7 emergency service, on site professionalism and 100% money back guarantee on their work has made them the number one choice for thousands of happy residential and commercial customers. Contact Superior Plumbing for all your hot water emergencies and repairs, advice and ongoing servicing. Whether you’re looking for a new hot water unit to replace an aging one, planning to build or renovate a home or need a quick fix, Superior Plumbing will be able to help you solve all your hot water needs. We ensure that we stock all the major brands of water heater systems, and, unlike many plumbing companies, come to your home or business fully prepared to fix the problem on the spot – no “quick trips” out to hardware or supply stores. This will not only save you money and time, but it’ll mean that you’ll get steady hot water running again as quickly as possible. At Superior Plumbing, we pride ourselves on the professionalism and friendliness of our servicemen, as well as the quality of our work. No job is too big or small, so call us today and find out why we have thousands of satisfied customers. It’s easy to take your hot water unit for granted, until it breaks down and needs fixing, or you need to get a whole new system. You just assume that when you turn on a tap, hot water will flow out. When it turns cold or even stops working as it should, that’s when you know you’re in trouble. Luckily getting it fixed the same day is easy if you give Superior Plumbing a call, and they will be able to help you either choose a “like for like” system, or change to a different unit. So what are some of the factors you should consider before replacing an old or broken hot water system? Everyone will have a rough guide of the amount of money they are willing to spend on household appliances. You should think carefully about how much you spend on a replacement system, considering that you ideally want to find a unit that is reliable over the long term. Hot water systems can range from around a couple of hundred dollars for small gas and electric units, right up to around $7,000 for a complete solar system. A good system will be an investment, and getting the right one that suits your requirements will guarantee many years of steady and reliable hot water. This simply means the maximum amount of hot water you need at any given time, and it may determine the size and type of hot water system you need (for example, whether you should be looking at a storage tank heater or a continuous flow system). 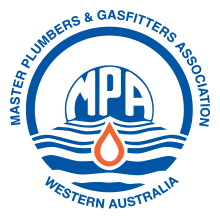 Once you have given him your requirements, a good plumber will be able to determine which type of system would suit your needs better. With utility bill costs rising every year, the running costs of your new hot water system will be an important factor to consider. 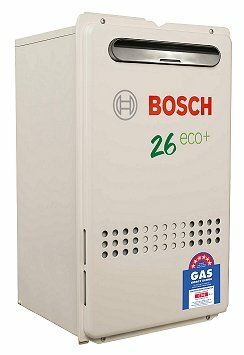 In general, a gas hot water system is cheaper to run than an electric system, but will be more expensive to buy upfront. Purchasing an off peak system, which means that the electricity needed to heat the hot water is shifted to cheaper times such as late at night, is a great way to off-set these costs. Again, your plumber will be able to help you work out what suits you best, and the most cost effective way to achieve this. 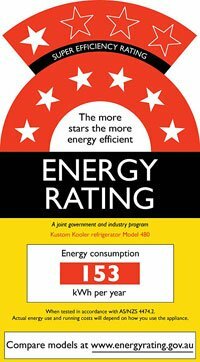 The energy efficiency rating of your hot water system will determine how much money you will save over the long term, with gas systems having a voluntary star rating system (with 5 stars being the highest rating). You’ve no doubt heard the stories of people switching to solar hot water and becoming “self sufficient”. It is a tempting idea, and with current solar technology, it’s within most people’s reach nowadays. For most people having a solar hot water system installed is a considerable investment, and its effectiveness will be determined by factors such as the orientation of your property and the maximum number of fixed solar panels on your roof. 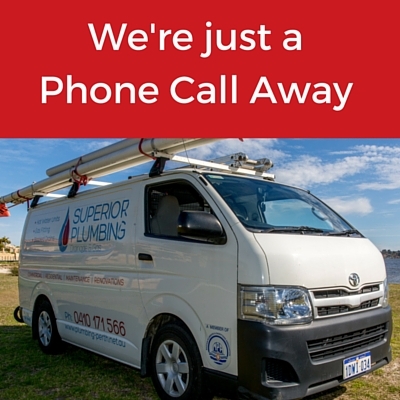 Superior Plumbing stocks a wide range of hot water systems that are suitable for residential and commercial properties, and they offer an exceptional same day repair or replacement service, saving you time and worry. Today’s hot water systems are generally designed to run smoothly and efficiently for many years, however they may experience issues from time to time which will require a call out from a plumber. In terms of lifespan, most will last for between 5 to 10 years, depending on the type and quality of the hot water unit, the climate and environment it operates in and the amount of use it gets. Let’s look at some of the main problems that can affect hot water systems. Surely the most frustrating of experiences, having no hot water at all can be caused by a number of reasons, including having a gas pilot light on a gas heater unit go out, an electricity outage or a unit that has worn out over time and needs replacing. Running out of hot water or having only lukewarm water halfway through a shower or washing up can be an annoying experience. Having a sudden spike of unusually hot water can be dangerous. These issues can be an indication of a simple issue of the temperate setting needing to be tweaked on the unit, or a larger problem of the unit not meeting demand properly. 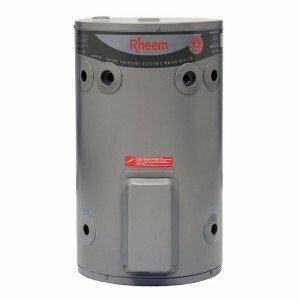 Water heaters generally make a small amount noise when running. However, if you hear unusual sounds such as knocking, boiling or gurgling, there may be an issue such as a build up of scale and minerals from the water in your system. This generally needs to be cleared out by a professional. If you’ve seen evidence that your hot water system is leaking, it may be a simple issue of having a valve wear out, or a major issue of corrosion in the unit. Even a small drip now and again should be investigated, as over time it may cost you money and indicate a serious issue. WHY REPLACE YOUR hot water system? If you have any of these issues, or just think it’s time to get advice about what a new hot water system could do for you and your family, call Superior Plumbing today. Our pride in our work is evident in our branded uniforms and work vehicles, our professionalism and our attention to detail. We will turn up on time, with the right equipment and know how, and be able to solve your issue to the highest standard. We will also ensure that we leave your property the way we found it – no dirty marks on the floor and no rubbish left for you to clean up. We are so sure of the high caliber of our work that we offer a no questions asked, money back guarantee on our services. So contact us today and experience the amazing service that Superior Plumbing offers!